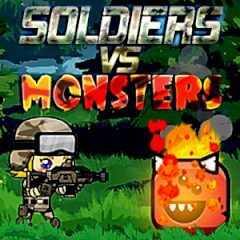 Test your shooting skills as you become a super soldier under attack from strange winged animals from the sky! Arm up, point your weapons to the skies and start blasting any and all things that fly! The more to shoot, the more money for upgrades and recruits you can get, so keep blasting!